1Prepare a baking tray with baking paper. (non-stick or wax paper). 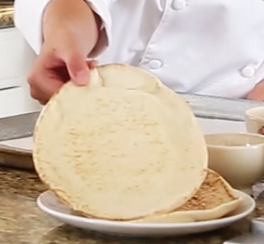 Then place the pita bread in the center of the tray. 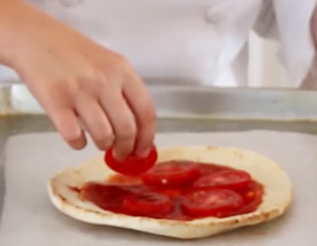 2With a spoon spread the marinara sauce evenly across the pita bread. 3Now it is time to put your favorite toppings on the crust. 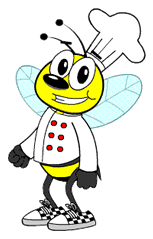 It is your pizza so you can be as creative as you like. Maybe try some sliced tomatoes or bell peppers, or mushrooms. Or even some leftover turkey from yesterday. 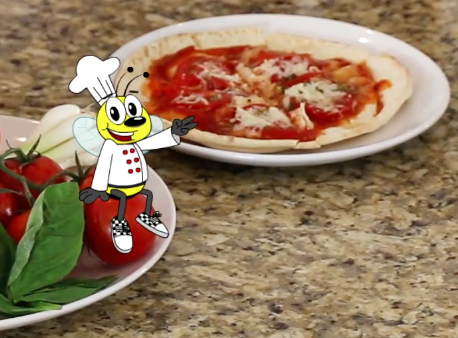 Have some fun with it 🙂 TIP: If you sprinkle some dried herbs, like oregano or basil, onto your pizza, it will give it some nice extra flavor. 4Oops, we almost forgot the most important part...CHEESE! No pizza without cheese, right? 🙂 We used shredded low-fat mozzarella cheese. 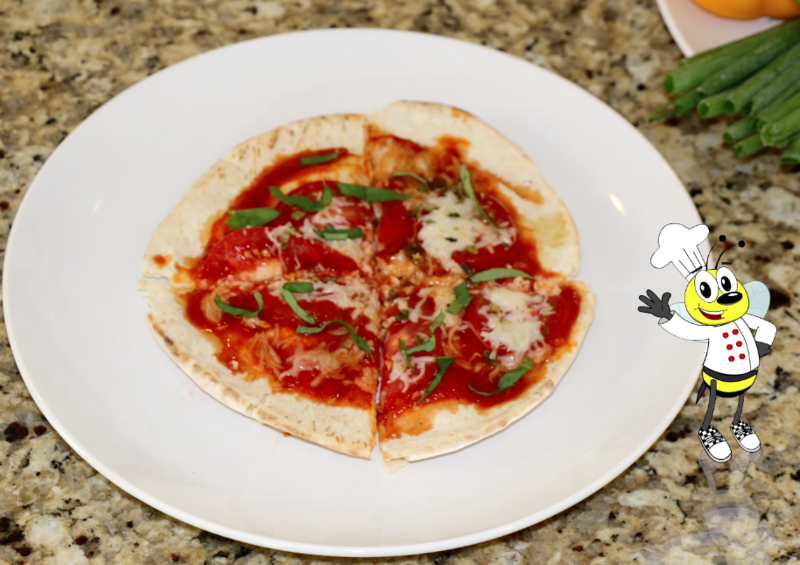 It tastes great and it melts very nice and it makes super long strings when you pull apart the pizza slices. 5Put the baking tray into the preheated oven at 350 degrees. Set the timer to 10 minutes. IMPORTANT: PLEASE BE VERY CAREFUL as the oven is hot. Always have an adult with you when you work with the oven and have them help you with setting the timer and the temperature. 6Using oven mitts or a thick towel remove the baking tray from the oven and put it on your work table. 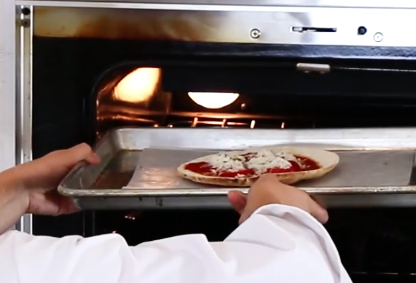 Take a spatula and carefully lift your pizza off the tray and onto a cutting board. 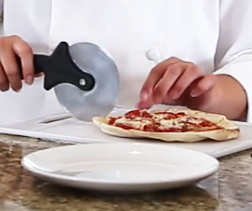 With a pizza wheel you can cut your pizza into different slices. If the pizza is still too hot you can use a fork to hold it down so you don't burn yourself. 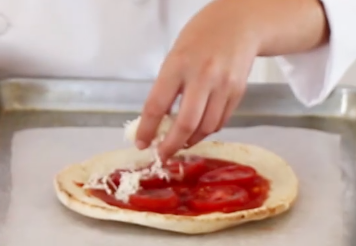 Use the spatula to put the pizza slices on a plate.